Perhaps the most complete all rounder & most unsung hero, Anurag is with team since 2006 when he first arrived in Japan as student. He joined club as medium pace bowler and a handy middle order batsman. Over the years, he improved his skills by leaps and bounds to become the spearhead of bowling attack for the club. A kind of fitness freak, he is one of the fittest guy on the field and one of the genuine fast bowler in Japan cricket. His batting skills are often overshadowed by his bowling skills. You will often see his name in club bowling records. 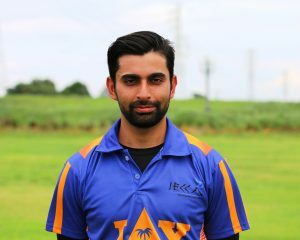 He currently the record holder for best bowling figure in T20 cricket for IECC & most probably in Japan Cup tournament organised by Japan Cricket association.